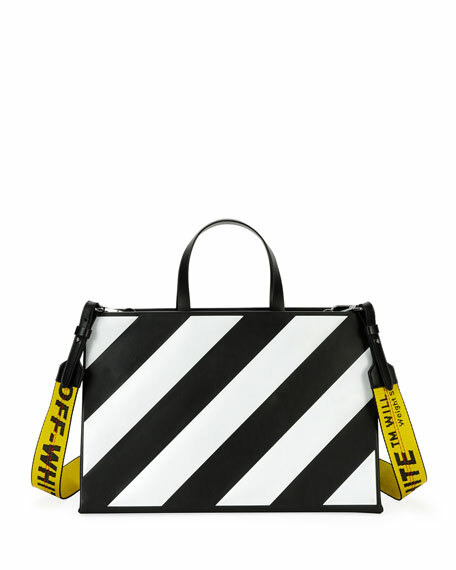 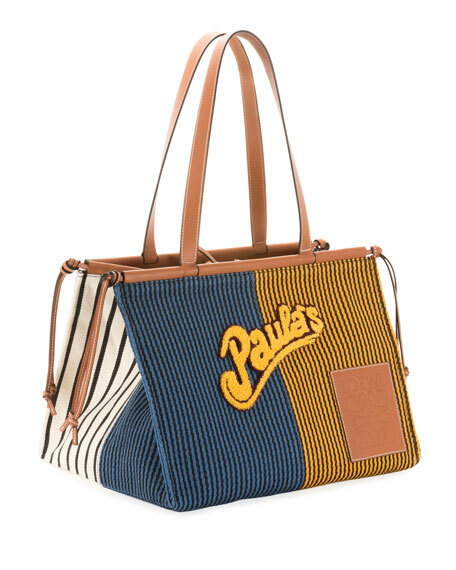 Off-White box tote bag in leather and fabric with signature diagonal striping on front. 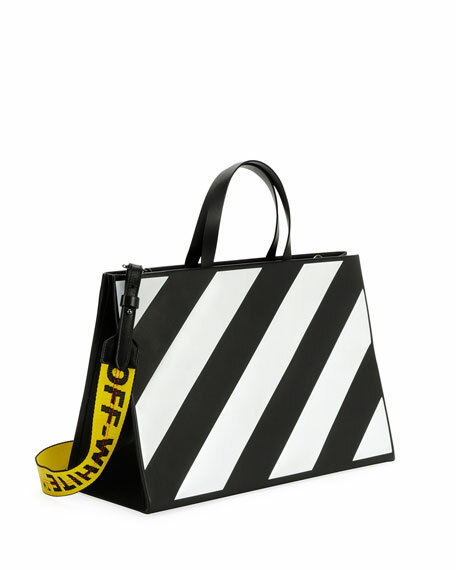 Removable logo web shoulder strap, 21.5" drop. 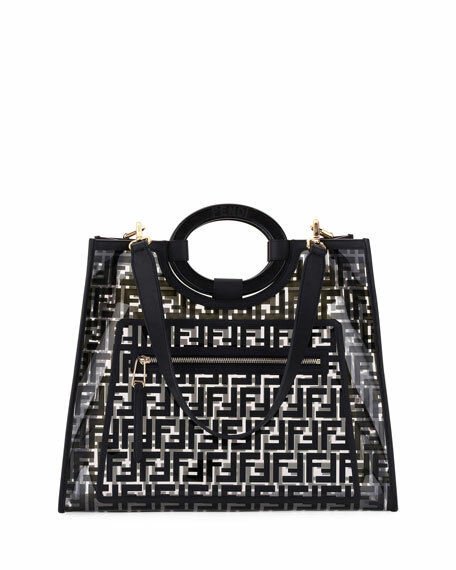 9"H x 13.3"W x 5.7"D.
For in-store inquiries, use sku #2582435.